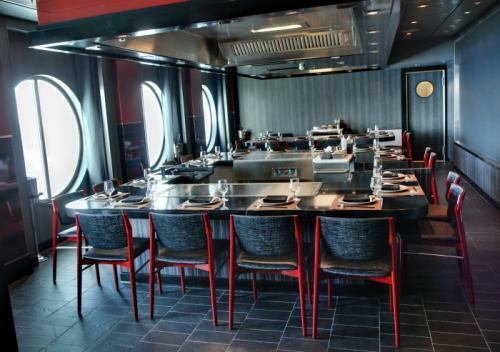 If you are a fellow sushi lover, then you will feel right at home at Royal Caribbean's premier sushi restaurant Izumi. The next time you make a reservation at Izumi, be sure to consider these fun and tasty aspects of the restaurant that are worth trying! Some of the best things in life are free and when you eat at Izumi, you will get a great starter for no additional cost. 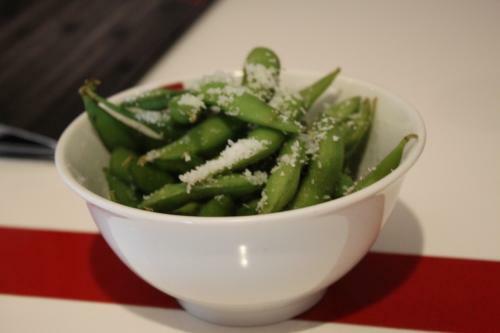 Izumi currently offers complimentary edamame (a preparation of baby soybeans in the pod boiled in water together salt, and served whole). Not only is this a tasty choice for starting your meal off right, but they are priced right too! Eating sushi is an experience and if you like a little show with your meal, try eating at the sushi bar. Sitting at the sushi bar will get you a front row seat to the sushi chefs creating their masterpieces. And let me tell you, making sushi is no pedestrian task. Sushi is as much an art form as it is a kind of food and watching sushi being made is really entertaining! If you consider yourself a sushi fanatic, then you will need to flip your menu over to the signature roll section. The signature rolls often are larger and offer superior flavor than the other rolls on the menu. It really is the best offering Izumi has. In addition, be sure to inquire if there are any sushi specials. From time to time, Izumi will offer certain rolls that are not on the regular menu and these special rolls can be terrific choices too. In addition to just sushi, select Royal Caribbean ships offer teppanyaki style dining at the restaurant's hibachi section. Izumi's hibachi is a fun and creative experience, where your chef cooks your food in front of you with a splash of entertainment thrown in. Hibachi dining is a great way for family and groups to enjoy a meal together and if you want to have a memorable dining experience . The hibachi meals have a cover charge of $25 for one choice of meat, or $30 two choice of meat. Choices include Beef, Chicken, Lobster or Shrimp. Each meal includes soup or salad, edamame app, fried rice or lo mein noodles, cooked veggies and dessert. Whether you eat sushi or not, no trip to Izumi is complete without an order of hot rocks. Hot rock (Ishiyaki) plates are rocks that are heated to 575 degrees °F, where guests take raw meat and vegetables and cook them on the rock, right at your table. This ultimate-self serve meal is a really fun way to enjoy a Japanese delicacy. Each plate comes with lemon ginger vinaigrette, sweet soy sauce and Thai sweet chili dipping sauces. Guests have the choice of mixed seafood, chicken breast, chicken and beef skewer rock or beef tenderloin. The hot rocks are perfect for those that do not enjoy sushi necessarily or just someone looking to try something different!